Happy New Year! I can't believe how quickly 2016 flew by. There were ups and downs, but I really don't think it was that terrible of a year. A new year generally symbolizes a fresh start, so I thought I would start the year off with a low-key look. 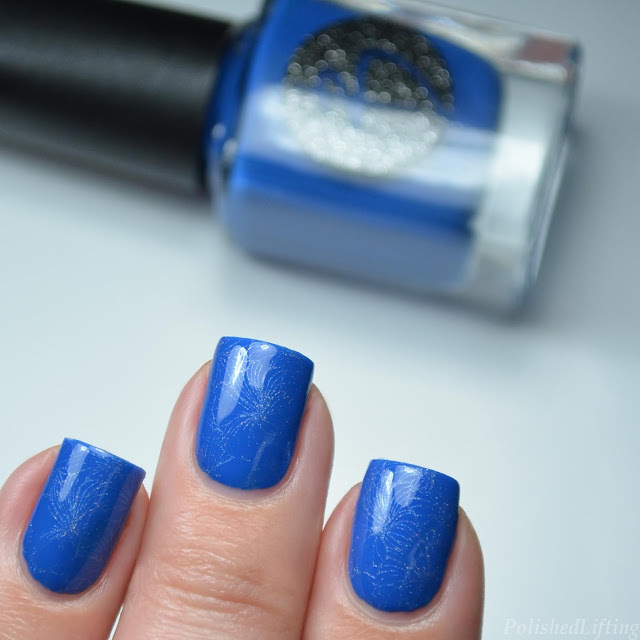 This post features Bliss Polish Ocean, and some intricate stamping using Moyra Florality 1. Notes: You guys know how much I love one-coaters, so it should come as no surprise that I'm quite fond of this shade. My dream it to eventually have a rainbow of one coat cremes. I'm not sure if that will ever happen, but a girl can wish! If you enjoyed this post you might like Moyra Florality 1 Plate Review and Bliss Polish Winter Cremes.